And like that, all good things must come to an end. Sadly, our little holiday is over and we are back home, right smack-bang in the middle of a cold/wet snap here in Sydney. But it was an incredible trip, and I cannot wait to share all my snaps and tips with you! I will start posting first thing next week with lots of lots of colourful goodness from Mexico, and then it's onto the States, with photos from our time in NYC and LA. 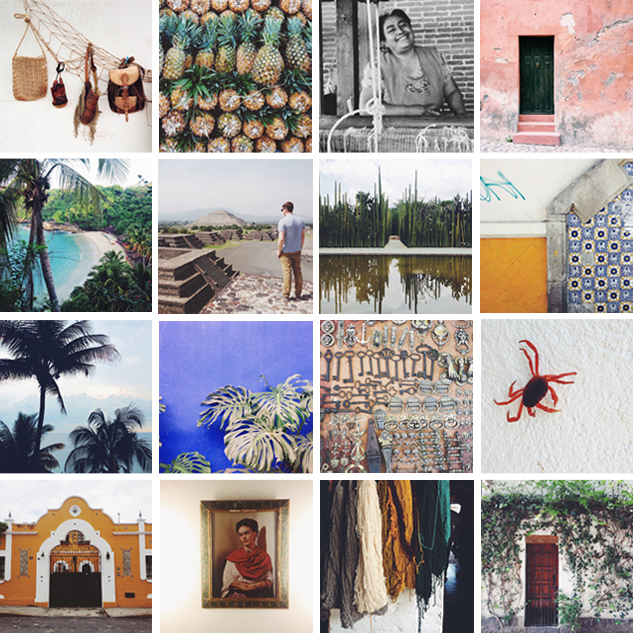 Above are a few instagram snaps taken in Mexico. i'm heading to nyc again in a few weeks so i'll be very interested to see your suggestions...as well as all of your amazing photos! i am really looking forward to seeing these photos! even though mexico is so close to canada, i myself have never been, and i only hear about people doing all-inclusives. Stunning instagram shots! These pictures bring some color and warmth in these grey rainy days. I can't wait to see the rest! Such pretty colors!! Can't wait to see more.